This powerful mantra is 8×10 on handmade paper. In the beginning was the Word. And the Word was “OM”. This ancient, sacred sound is perhaps the most widely recognized mantra. It is perhaps overlooked as being too “mainstream” for this reason. People are on the lookout for something authentic, perhaps a little obscure. We want the secret. The best kept secrets are often right in front of us. 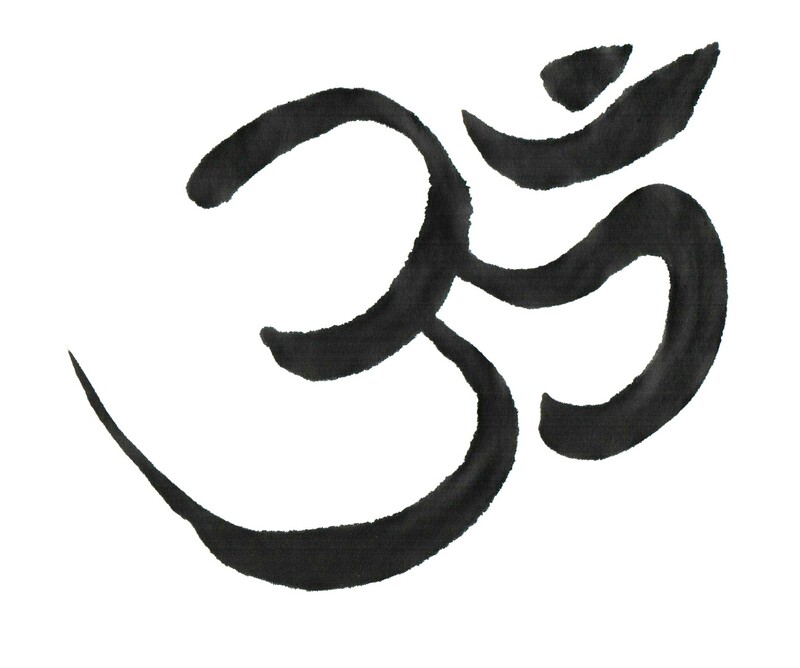 Om is a powerful mantra. The reason it is the best known is because it is the most widely used. It is said at the beginning and end of most Buddhist, and Hindu prayers, mantras, slokas & invocations. Om is the real deal. Om is the sacred sound that creates, sustains and dissolves the Cosmos. Chanting Om is like a tuning fork for your soul. It aligns us with the creative force we are made of. It empowers us to our true potential and reveals us to ourselves. Each piece is rendered upon receiving the order specifically for you. Due to the nature of this type of calligraphy, your Om will be unique. It’s appearance will vary from what is shown. Each piece is executed in the zen style of entering a meditative state to allow the calligrapher to become a tool of the energy of the calligraphy.